The openSUSE team officially released version 10.3 on October 4th. openSUSE is a popular German Linux distribution that Distrowatch.com lists as one of the "top ten." Underneath its new green artwork, version 10.3's improvements over previous versions include cutting down the time it takes to reach the graphical login screen; speeding up and streamlining its package management utility; and making it easier for users to install software using a new "one-click install" process. The aftermath of Novell's purchase of SuSE hasn't been a bed of roses. In late 2006, Novell and Microsoft announced an agreement to collaborate on interoperability between Novell's "Enterprise Linux" products and Microsoft products. Part of that agreement included a promise from Microsoft not to sue users of the Novell products covered in the agreement (including portions of openSUSE), for what Microsoft claims is patent infringement. In short, Microsoft claims Linux infringes on hundreds of its software patents. By making this deal with Microsoft, Novell (at least implicitly) agreed with that position. This obviously did not go over well with many Linux users. From the "Haste Makes Waste" Dept. openSUSE doesn't have a live installation CD yet (like PCLinuxOS and Ubuntu do), although word is that one's in the works. It uses the traditional method of booting off the install media, with YaST guiding you through the installation process. Installation is a two-part process. The first part involves partitioning; boot loader configuration and installation; and package selection and installation. Once that's done, the installer reboots your computer, and restarts itself from your hard drive. The second half of the process involves configuring the root password; installing any available online updates (which, once again, requires you to configure your network connection -- this time for good); configuring user accounts; and hardware configuration. On my Compaq Presario V2610US laptop, I used the full installation DVD. L: Installation using the KDE and Non-OSS add-on CDs. Note that the installer's pulling most of the packages off the Internet. Overall, I had a rather odd installation experience. I was in a rush during my first attempt to install openSUSE on my Fry's box, trying to squeeze as much as possible into a spare hour. I somehow managed to get into dependency resolution hell. How does one get a dependency error by selecting a package in an installer? one wonders. It went downhill from there. Long story short, you can get into a mess if you're in a hurry. Take your time. Or simply accept the default package selection and make changes after the installation's finished, which is what I ended up doing when I restarted later. On my laptop, the second package YaST tried to install failed to pass its integrity check. I had a bad burn. Fortunately, I had the DVD ISO image on my workstation, and burned a new one at 4x. From there, it was fairly easy to go to a virtual console on the laptop, look at /proc/mounts to find out where the DVD was mounted, unmount it, eject it, and mount the newly-burned DVD to the same directory. Afterwards, installation finished with no problems. (After a week of online updates, among other things, the kernel version's currently 2.6.22.9-0.4.) For a comprehensive list of features, see this "Product Highlights" page. Both my test box and my laptop dual-boot with Windows. openSUSE set up ntfs-3g with read/write support for my NTFS partitions automatically. openSUSE now includes MP3 support out of the box. My laptop's Broadcom wireless card requires the use of ndiswrapper and the Windows drivers. (That link gives comprehensive instructions on how to install and use ndiswrapper on openSUSE.) For some reason, recent kernels include an open-source "bcm43xx" module that doesn't work with my laptop's BCM4318 chipset (one would assume they work with some Broadcom chipset out there), but the kernel's hotplugging system keeps loading it anyway. In some other versions of Linux I've tried, it interfered with ndiswrapper, which meant the "bcm43xx" module had to be blacklisted. In openSUSE 10.3 (using ndiswrapper and KNetworkManager), things seem to work fine without blacklisting it. openSUSE 10.3 seems faster than openSUSE 10.2 in three major ways. First, you get to a login prompt more quickly. openSUSE seems to do this by starting the display manager before it's done loading every startup service (Debian "Lenny" does the same thing). It's also made its package manager feel faster than it did before, by taking less time to start up. Finally, they've removed the ZENworks Management Daemon (ZMD), which caused a noticeable slowdown in openSUSE 10.2, especially when running at the same time as the Beagle indexing service. YaST now includes a "Community Repositories" applet that checks for available online software repositories and lets you add them with a click of the mouse. (Of course, the more repositories you add, the slower YaST's package manager will be!) You can also add repositories manually, using the "Software Repositories" applet. Perhaps the feature that'll garner the most attention is openSUSE's one-click install. This involves opening an XML file (usually from a web page) that has the extention "*.ymp" (presumably for "YaST meta-package") with the YaST Meta Package Handler. For example, this page on the openSUSE Community website includes *.ymp files for both KDE and GNOME users that allows you to install a wide variety of proprietary codecs (and a selection of applications) simply by clicking the links, letting YaST open them, and following the prompts. This replaces the old method of manually adding repositories, then searching for and installing the software you want (although you can still do it that way, if you want to). It also has security implications, in that you could install malicious software by mistake; there's a dialog box that comes up during the process, warning you of that fact. Using one-click install — well, almost. You can also install compiz-fusion (the successor to Beryl) through a one-click install process (including a "fusion-icon" applet that lives in the system tray, similar to beryl-manager). While that article makes it seem like you need to run XGL in order to use compiz-fusion, that's certainly not true for those who have NVIDIA cards. Those folks will simply need to follow the same steps (see step #4) they used to enable compositing in /etc/X11/xorg.conf that they used with Beryl. openSUSE 10.3 is a mature, stable, free Linux distribution. Pros include excellent documentation and a wide selection of up-to-date software. Its YaST configuration utility offers ease-of-use matched perhaps only by Mandriva's Control Center. It seems as fast and responsive as any other modern Linux distro, even on my rather underpowered test box (except for the 3D desktop effects, which is to be expected). Cons include its clunky software management tool, which still takes too much time to load, despite efforts to improve it. (In the grand scheme of things, however, this seems like a small complaint to make.) And, while it has little to do with openSUSE's development team, a big raspberry goes to Novell's marketing geniuses for giving credence to Microsoft's patent claims in exchange for some amount of money. Submitted by edge on Friday 19th of October 2007 02:30:56 PM. 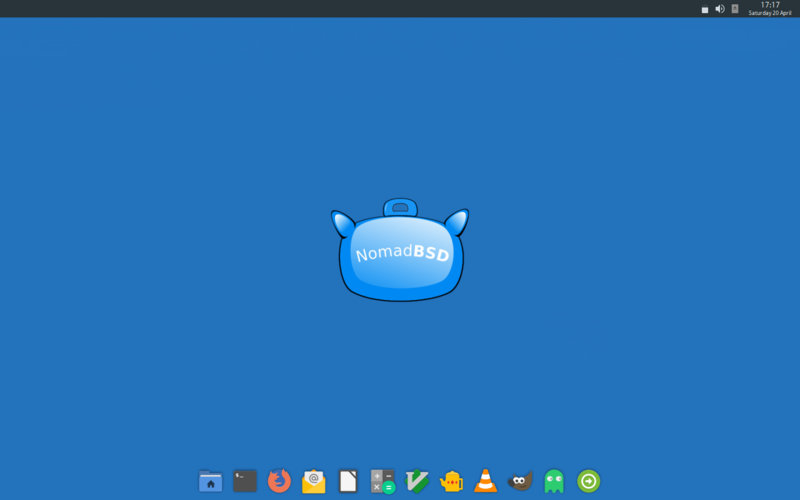 I've installed OpenSuSE 10.3 recently, but I didn't have a green colourscheme applied to the window decorations by default (I chose KDE desktop off the DVD install). However, I notice you do in your screenshots! Did you do that yourself or was it automatic for you? Submitted by sharkus on Sunday 28th of October 2007 06:57:08 PM. Yes, he did that himself. Mine was also defaulted to blue. Submitted by eco2geek on Monday 29th of October 2007 07:45:59 AM.